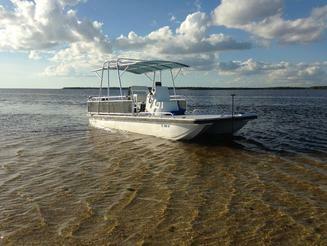 We’re committed to "Your Private Adventure"
Welcome to Florida Everglades Charter Adventures. Our mission is to guide you through The Florida Everglades and 10,000 Islands National Wilderness Refuge. This is accomplished by creating your Private Boat Tour according to your interests and goals, having the appropriate vessel, and an experienced Captain and Master Naturalist as your guide and environmental interpreter. With Captain Jim at the wheel, and with his 15 years of experience exploring the Florida Everglades, your private motorboat tour will be as unique as the environment you are exploring. Experience the largest subtropical wildernesses in North America, The Florida Everglades and The 10,000 Islands National Wildlife Refuge, a World Heritage Site. A unique ecosystem, the Florida Everglades are home to an abundance of plant and animal life. Take an exciting Adventure to secluded beaches and tropical islands in this uncommon environment. The The Summer Breeze was custom built specifically for the islands and waters of the Florida Everglades and The 10,000 Islands National Wildlife Refuge. Florida Everglades Charter Adventures is licensed, insured, and permitted by The Florida Wildlife Services to explore the islands and waters of the 10,000 Islands National Wilderness Refuge. So, grab your hats, shades, sunscreen, and sundries, and come aboard The Summer Breeze with Captain Jim for your private tour of The Florida Everglades and The 10,000 Islands National Wilderness Refuge. 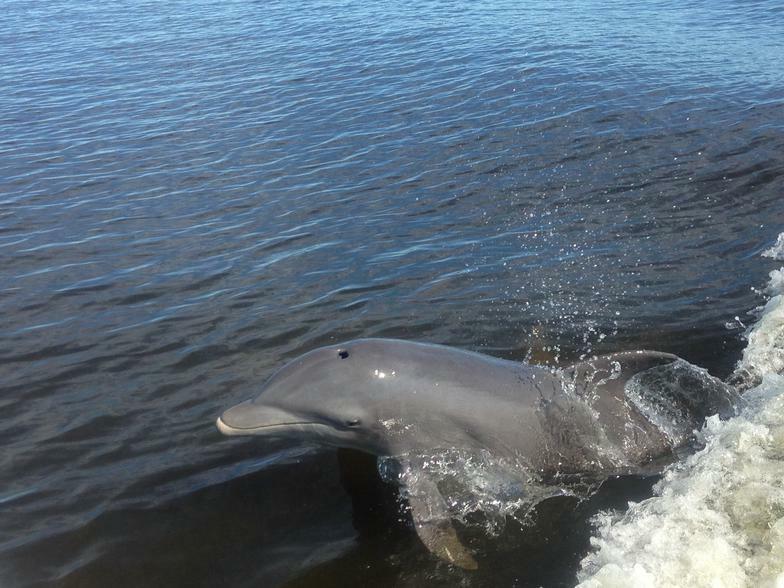 Most importantly... Bring "Your Sense of Adventure..."
Florida Everglades Charter Adventures, Inc.